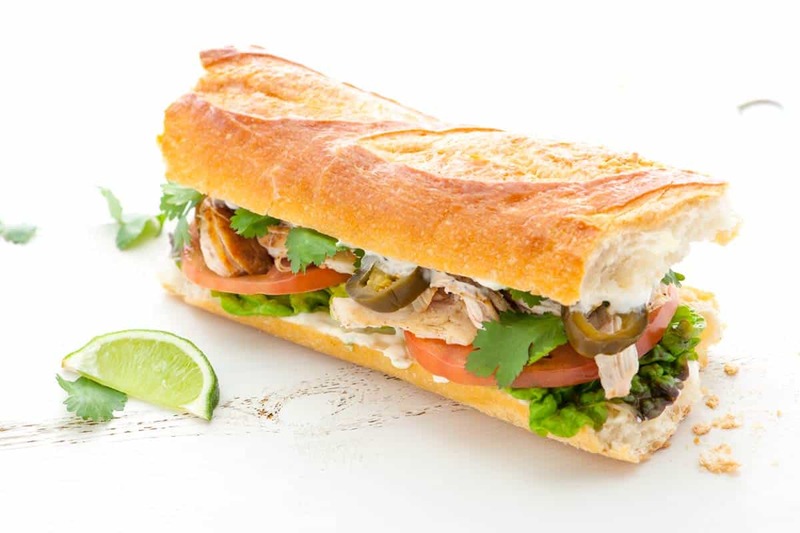 How to make chicken sandwiches with lime mayonnaise and pickled jalapeños. Jump to the recipe for Spicy Shredded Chicken Sandwiches with Lime Mayonnaise or read on to see our tips for making them. 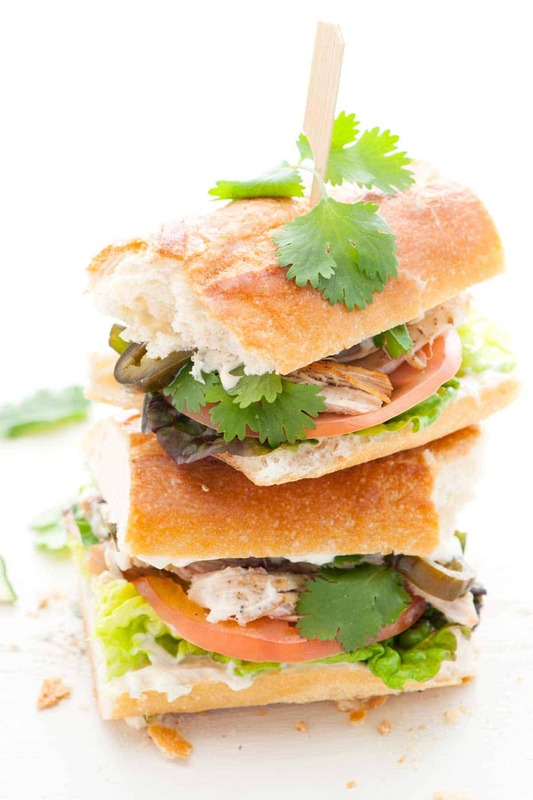 I love these easy chicken sandwiches — they are full of flavor and are loosely inspired by a Vietnamese Bánh mì sandwich. They usually include some kind of protein, a delicious mayo spread and lots of pickled vegetables. YOU MAY ALSO LIKE: Avocado adds a twist to classic egg salad. Easy avocado egg salad recipe with celery, fresh herbs and lemon juice. 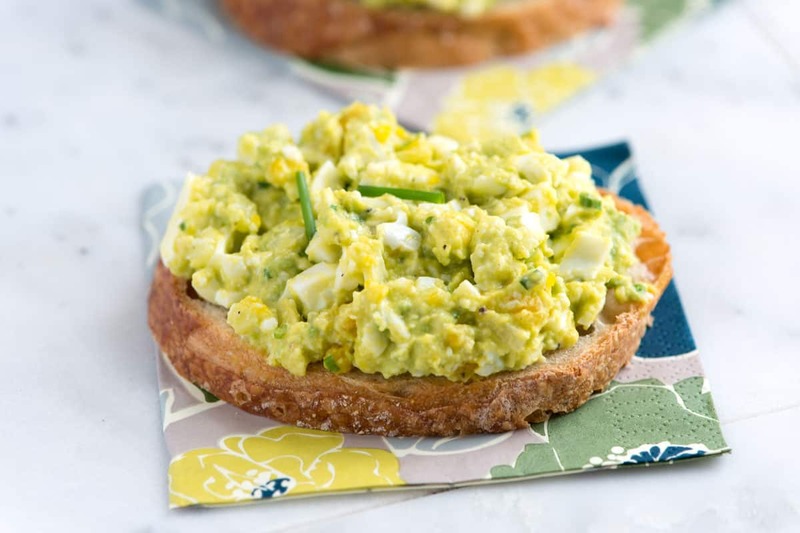 Jump to the Avocado Egg Salad Recipe. In this case, we used warm shredded chicken for the protein. 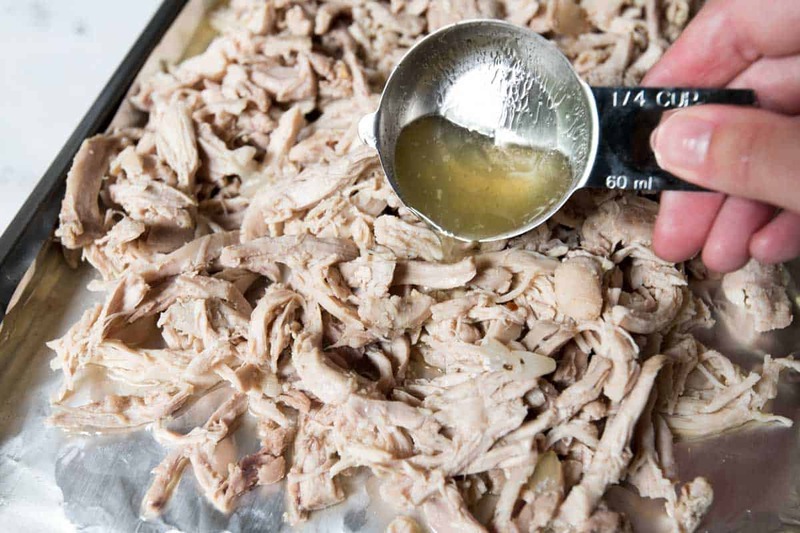 Whenever we need shredded chicken we go straight to our Tender and Flavorful Shredded Chicken Recipe — it takes about 1 hour and makes the best shredded chicken. 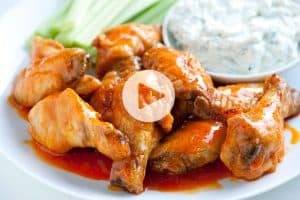 YOU MAY ALSO LIKE: This shredded chicken recipe is very simple to make and can be used 100 different ways. Jump to the Shredded Chicken Recipe. Then we make a flavored mayonnaise — you can start with store-bought mayo or make your own. It’s flavored with lime juice, zest and a little salt. It’s simple, but so flavorful in these sandwiches. Finally we add lots of crisp lettuce, tomato, cilantro and a bunch of spicy pickled jalapeños. You can buy precooked rotisserie chicken and shred it for these sandwiches. Or, if you have the time, make your own shredded chicken. Here’s our favorite recipe that makes unbelievably tender chicken. 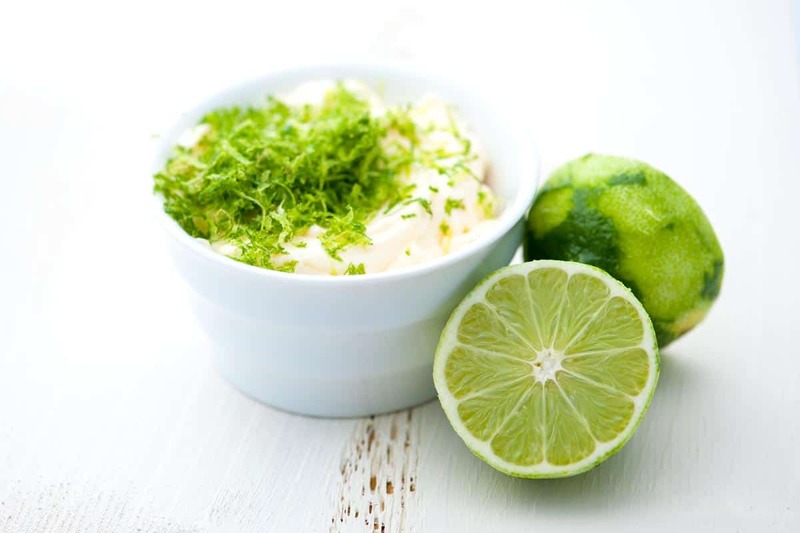 In a bowl, stir the mayonnaise with the zest and juice of one lime. Season with salt and black pepper to taste. Slice the baguette in half to make two smaller baguettes then slit them lengthwise, and then use your fingers to hollow out the insides, making a trough in both halves. Generously spread the inside of the bread with mayonnaise. 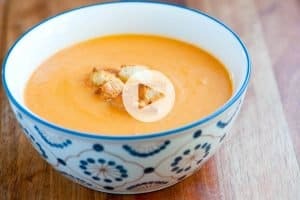 Start from the bottom portion of bread, layer the rest of the ingredients. Close the sandwiches then cut in half for easy eating. All of the flavors pre perfectly balanced! This sandwich is entering my normal rotation. Made It for dinner and packed leftovers for my husbands lunch. Held up fine in the fridge overnight and was not soggy (we did use a tougher baguette, closer to a ciabatta). 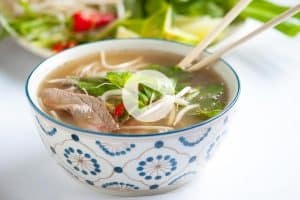 Every recipe I have tried from your site has been perfect!! Miri Leigh – thanks! We could go for a picnic right about now! Ben – you are too kind! This looks like a wonderful sandwich- perfect for a picnic or tasty lunch! What’s even better with the Lime Mayonnaise is if you also run a whole raw jalapeño through your grater / microplane for a little smoky kick! I like to use Japanese mayonnaise (Kewpie brand) for it. Beautiful photos! Definitely makes me want to try the sandwich. I so need to get my good camera out and play with it. Mission accomplished is right! Not only are all of these photos amazing but the sandwich looks pretty darn tasty as well. I really love how the color green popped in all of these. Mission accomplished…those are definitely cool photos. Looking at them I can almost trick myself into believing it’s warm and sunny outside. Wendi – the funny thing is, we took those photos last Friday when it was oddly warm outside! We sure do wish that weather would come back, with a sandwich or two!